“I’m not sure how you could have missed them coming in. They’re giant bears for Christ’s sake!” That panel is terrific. Heh, thanks! You would think that something as loud as brightly-colored bears would be tough to miss. 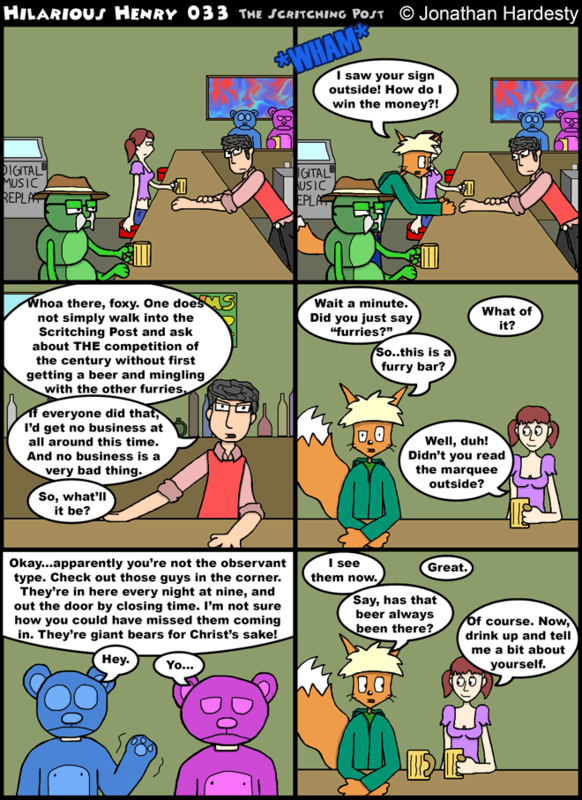 BUT….it is a furry bar so maybe there’s an excuse. It’s been awhile since I looked through these. If ever I start back up I need to find a better way to make caption bubbles. You could tell I had some difficulties getting the block text to fit in the circular bubbles.